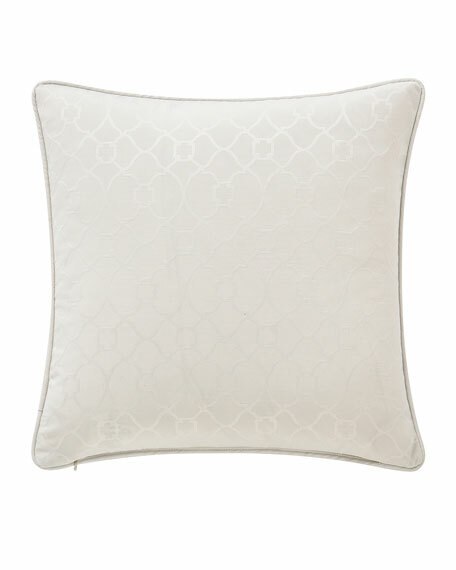 Waterford Celine Square Decorative Pillow, 18"Sq. A diamond pattern woven into a dimensional puckered fabric in a creamy ivory color. 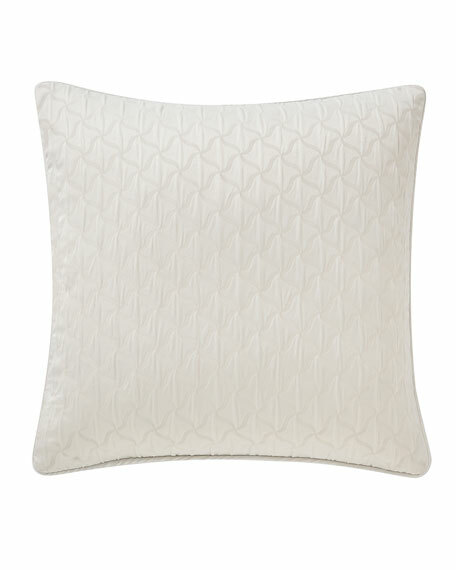 Decorative pillow with diamond pattern. Textured decorative pillow. 16"Sq. Front, polyester/viscose. Reverse and trim, linen. Dry clean. Imported. Eastern Accents pillow. Polyester. Faux-feather insert. Dry clean. 27" square. Made in the USA of imported materials. Shipping Direct from vendor, usually ships within 21 business days.